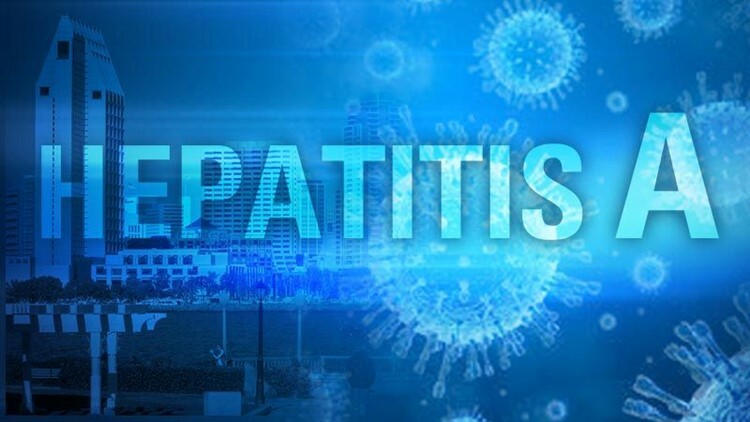 SAN DIEGO (CNS) - A San Diego County grand jury report released Thursday identified "a number of shortcomings" in existing plans and procedures for dealing with local health emergencies such as the recent hepatitis A outbreak that killed 20 people. Upward of 600 people contracted the highly contagious liver infection caused by the hepatitis A virus during the outbreak, which was first identified in March 2017 and lasted into the beginning of 2018. The largest hepatitis A outbreak the United States had seen in 25 years, it centered on the city's growing homeless population and spread because of lack of access to basic sanitation, health officials said. County and city of San Diego officials have been criticized for not quickly responding to the outbreak, and for not cooperating after it was identified. Though the grand jury report praises certain relief efforts, including on-foot vaccination teams, it generally backs assertions that officials deployed a delayed and uncoordinated response. In the six months between the outbreak's identification and the county's declaration of a health emergency last September, 15 people died and 420 were infected. Declaring a crisis is significant because it gives the county public health officer legal authority to direct health-related activities, rather than merely advise. The report found that an earlier declaration would have allowed officials more effective means to contain the outbreak. "By the time a local public health emergency was declared, the epidemic had peaked and the number of new cases was declining," the report says. "Much of this delay in implementation can be attributed to the lack of coordination and cooperation between the city and county." County agencies are responsible for monitoring and responding to public health crises. Beyond that, there was "little agreement" between city and county officials, according to the grand jury. "Analyses of email records revealed that the city and county discussed a number of possible responses to the crisis, but did not implement them for several months as the disease spread and the number of deaths continued to climb," the report says. Starting in May 2017, county officials began requesting installation of public toilets and hand-washing stations in the city. City officials initially declined the request, according to the report, and officials went back and forth for months until the county declared a health emergency. City officials didn't follow code procedures that give the county authority during health emergencies, and both entities "failed to appreciate each other's perspectives," according to the grand jury's findings. "City officials said they depended on the county's greater experience and authority in dealing with public health crises, but found the county slow to respond," the report says. "County officials in turn said that, although the city responded quickly, their responses were more likely to create impediments than immediate corrective action." The city also would have benefited from having a "clearly defined position" for a medical professional who can advise city leadership on public health crises, the grand jury found. "We welcome the grand jury review which correctly points out that there really was no playbook for dealing with what was an unprecedented health crisis," Mayor Kevin Faulconer said Thursday. "It's clear there needed to be better coordination and communication when the outbreak was first identified and there were a lot of lessons that will help us going forward. The biggest lesson is that our community can't put off difficult decisions on homelessness because it makes the problem worse." The county, which released its own report on local response to the outbreak last week, released a statement saying the grand jury's "independent findings are in many areas consistent with our After Action Report. We will review and incorporate their recommendations where appropriate and appreciate the commendation for the foot teams." Both reports cited an insufficient public health crisis response structure. The grand jury analysis, in particular, found "unnecessary delays" were partly due to the county's Emergency Operations Plan, which is intended to provide guidance for officials deciding how to deal with contagious disease emergencies. Though it's "essential that the responsibilities of different agencies be clearly defined" in emergencies, the county's emergency plan identifies five public health officials, without preference, who can take the lead during crises, according to the report. "The presumptive leader is not defined, which leads to uncertainty and delays when leadership and action is needed," the report says.